Established in 2006, Starwood Systems is a business web design, data analytics and hosting provider with emphasis on security and personal service. • We focus on building long standing relationships with clients rather than a ‘fire and forget’ approach to website construction. • We take on only a limited number of new clients to ensure service standards remain high. • We offer secure managed hosting to our clients. Your business growth is our inherent goal, and is designed into all Starwood System’s professionally constructed websites. What makes Starwood different to other web companies? The StarLite package keeps your site safe and online. Hello and thank you for dropping by, we are specialists in business website development using Wordpress and the award winning Joomla! CMS. Whether If you are updating your website, constructing a new website, or want advice on developing your Internet business, then we should talk as we can certainly help you. 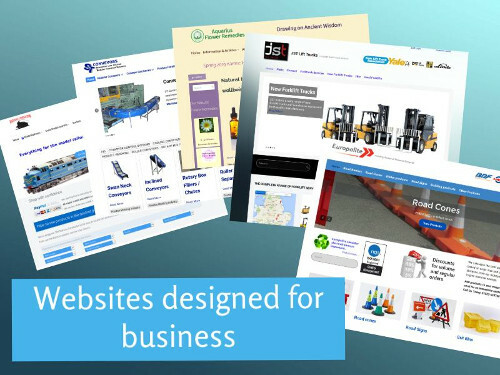 We offer a complete and flexible business website service from hosting, website design, construction, advice on website content and presentation, internet security, website backups, search engine optimization SEO, site usage statistics, Google analytics, operator usage and training as required. We communicate your message, whether that be a service, your products, or your community on the internet via multiple channels. For the past ten years we have worked in this field, building and managing websites for long standing clients, researching and implementing website system security, website delivery systems, page load speeds, user flow and live movement of users through the web site creating target areas for the delivery of content and products, Google search engine optimization techniques, Google Analytics and interpretation. By choosing a Starwood Systems developed website you can be sure that you are making the right choice as the site will change, grow and adapt as your business does. Thinking of updating your website or need advice?